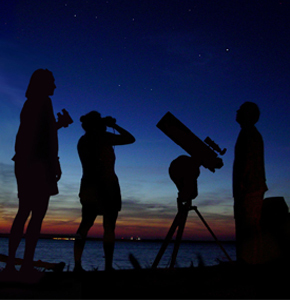 The Saluki Astronomy Association is hosting an observation on Sunday, November 12 from 5 – 7 PM on the roof of Neckers. Mercury sets at 5:15 PM so come early and come thirsty! There will be hot drinks and snacks for sale. We will have a chance to see: Saturn, Ring Nebula, M31 (Andromeda), Mercury, and Uranus.